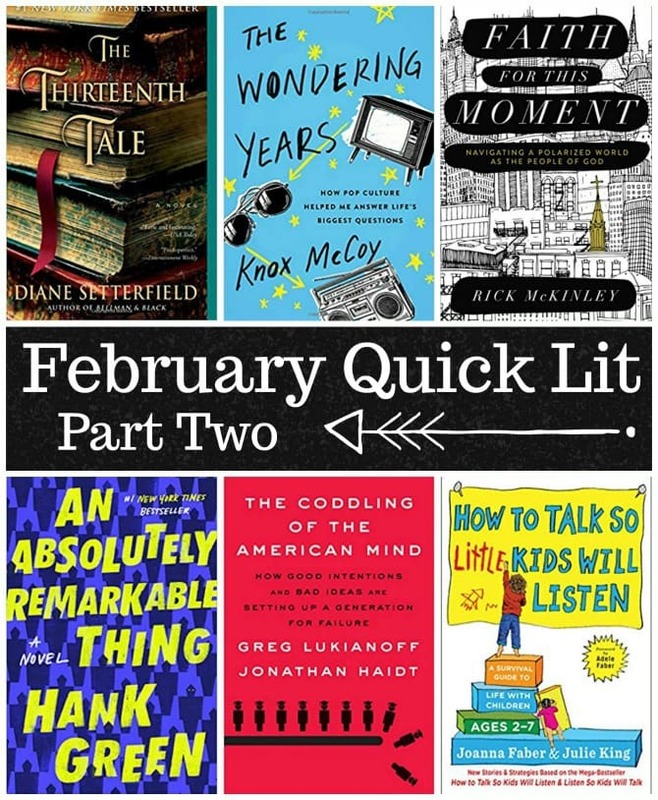 I’m back today with Part Two of this month’s book reviews. There is so much great stuff in these books—so I’ll skip the introduction, and let the reviews do the talking for me! In Part One of the book, Faber and King walk parents through the Essential Parenting Toolbox, with chapters on how to acknowledge children’s feelings (always the starting point), engage cooperation, resolve conflict (without punishment), and show appreciation (but not outright praise). There are also sections on modifying these tools for kids with special needs, as well as a chapter reminding parents of conditions in which these tools won’t work (such as when kids are hungry, tired, or overwhelmed). 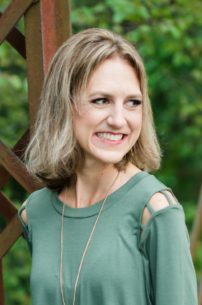 Part Two focuses on fourteen specific scenarios, demonstrating ways to utilize the tools in various situations, such as sibling rivalry, sleep, and shopping with kids. There isn’t a lot of new information here, but the authors do a good job of reminding parents of those practices we are aware of, but don’t always implement. The book has an easy-to-read format, with handy cheat sheet-style summaries at the end of each chapter. (I actually screen-shotted these pages and tossed them into an Evernote folder; since finishing the book, I pull the reminders up on my phone whenever I’m having a low parenting day and could use some support.) 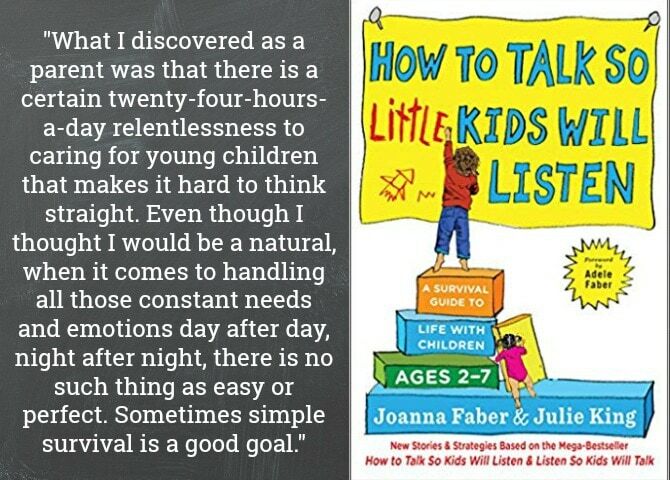 The tone is casual, framed around discussions the authors have had in their parenting workshops. It was nice to have the voices and stories of numerous parents and children. The book includes countless examples, which made for tedious reading when working through the book from cover to cover as I did (because it was a library book), but would be helpful for parents to turn to when dealing with one of the situations that’s covered in depth. As with all parenting books, much of this advice is easier said than done. Yes, I know that making every difficult task into a game will likely bring about the results I’m seeking, but I don’t always have the time and energy to be playful with my truculent preschooler. I also disagreed with quite a few of their ideas, specifically their strict opposition to punishments (which are probably overused by most parents, but do have their place) and admonitions against outright praising your child (their alternative suggestions seemed patronizing to me). These sticking points aside, I appreciated the authors’ honesty about their own shortcomings and acknowledgement that these strategies are not one-size-fits-all. And I’ve found a lot of the advice to be insightful and effective. We’ve had especially good luck with the strategies of working together to problem solve. If you’re a parent of a difficult (read: normal) preschooler, I would recommend getting your hands on a copy of this book. You probably won’t love everything you read, but it’s an accessible and actionable handbook that could shed light some of your biggest parenting challenges. 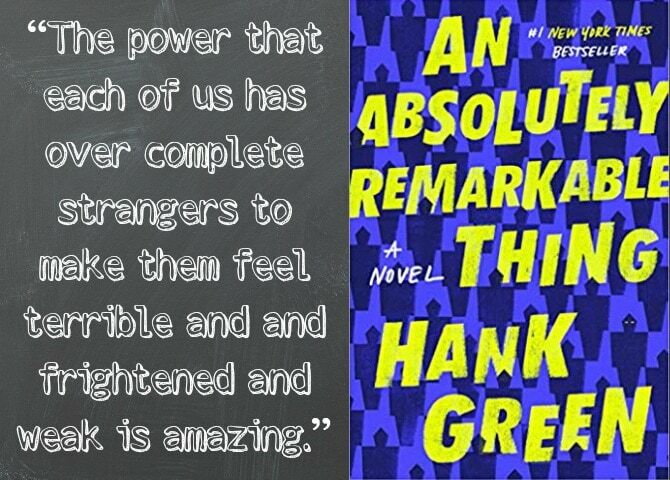 An Absolutely Remarkable Thing, by Hank Green: April May, a twenty-three-year-old artist, is wandering the streets of New York City in the middle of the night when she and her best friend Andy come across a ten-foot Transformer-like sculpture that April names Carl. The friends decide to film a quirky introductory video, which Andy uploads to YouTube. The next morning, April wakes up to discover their video has gone viral, and she is an instant celebrity for making first contact with one of the Carls that are now popping up in cities around the world. April quickly warms to the limelight, abandoning friendships and her own identity and values in the pursuit of wealth and fame. Meanwhile, she and the rest of the world want to know: who are the Carls? What do they want? Are they friend or foe? And why have The Carls chosen April to be their spokeswoman to humanity? I almost always read numerous reviews before picking up a book, so my experience with this one was unique in that I knew nothing about it prior to listening, other than that it was the much-awaited debut from John Green’s brother. If I’d known this was a science-fiction novel, I likely would have skipped it as Sci-Fi isn’t really my genre. Unsurprisingly, then, the otherworldly elements of this book didn’t appeal to me. I also didn’t care for the excessive crass language and discussion of sexual identity and politics. That said, this is a strong debut novel with an intriguing (if very unlikable) protagonist and great narrative voice; the writing is funny and relatable, balancing out the novel’s heavier plot points. My favorite aspect of this novel is its exploration of social media and the ways it affects our relationships and our characters. As the story unfolds, we see April shapeshift in order to earn admiration and acceptance from people she has never met—something everyone on social media has dealt with at some point, even if we haven’t realized it. I appreciated the insights on celebrity status and what it does to one’s mental health. And while the main events in this novel are far-fetched, the viral nature of their discovery and their global ramifications is eerily realistic. The book ends on a cliffhanger, and I am definitely interested in seeing what’s ahead for this story. 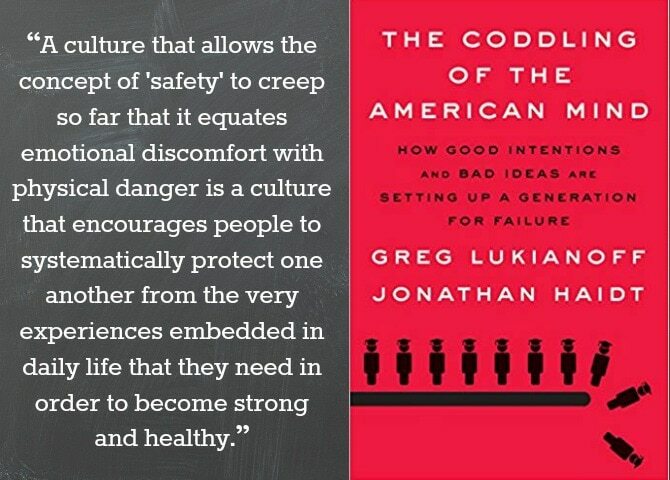 The Coddling of the American Mind: How Good Intentions and Bad Ideas Are Setting Up a Generation For Failure, by Greg Lukianoff & Jonathan Haidt: A huge shift has occurred in culture over the last few years. We have all gotten more sensitive, quicker to take offense and to call others out for their misbehavior (or what we perceive to be misbehavior), and more likely to identify as victims of hate speech and microaggresions. Rather than making the world a happier and safer place, these shifts seem to have had the opposite effect: we are more anxious and depressed than ever before, we are afraid to engage in authentic conversations for fear of saying something offensive, and we’ve lost sight of the truth as we’ve come to trust everything we feel and perceive. In The Coddling of the American Mind, First Amendment expert Greg Lukianoff and social psychologist Jonathan Haidt show how these problems have exploded in today’s universities (though I believe the issues extend well beyond the college campus). Lukianoff and Haidt explain that these shifts have their origins in three terrible ideas that have become increasingly woven into American childhood and education: 1) What doesn’t kill you makes you weaker; 2) Always trust your feelings; and 3) Life is a battle between good people and evil people. These falsehoods have led Americans (particularly iGen—those born after 1994) to buy into a culture of safetyism, resulting in young people who are emotionally and intellectually stunted and ill-prepared to face the real world. After spending the first part of the book identifying the Three Untruths, they go on to illustrate the damage these lies have caused, why they have come to be accepted in today’s culture, and how we can begin to shift back towards a healthier and more rational mindset. This book was a breath of fresh air in today’s overly tolerant, fear-based climate. The authors strike just the right balance with their tone: they don’t discount the merit behind many of the recent changes (such as the Me Too Movement and Black Lives Matter), and they acknowledge transgressions that have occurred and the validity of hurt that many have experienced. But they are unafraid to identify untruths and detrimental attitudes that are harming young adults (and all Americans). Their discussions of microaggressions and safetyism are especially compelling and helped me make sense of my unease around a lot of what I see going on in our world today. I also loved their thoughts on the importance of political diversity, something that is almost nonexistent in today’s universities. Because the issues in this book are such polarizing ones, I haven’t heard many people speaking out against them outside of extremely conservative commentators. So I was floored in the end of the book when the authors outed themselves as lifelong Democrats. Their willingness to dispense with political ideologies shows that they truly stand behind the ideas they espouse in this book, and it makes it easier for me to comfortably recommend this to anyone (and not just my fellow Conservatives). This isn’t just another book about “what’s wrong with kids these days.” The authors show how past generations have contributed to the problem and are empathetic towards younger generations. And their prognosis is not fatalistic, but extremely hopeful. They believe that this imbalance can right itself and offer numerous suggestions for making that happen. I came away from this feeling enlightened, validated, and optimistic. The Wondering Years How Pop Culture Helped Me Answer Life’s Biggest Questions, by Knox McCoy: I’m a longtime fan of Knox McCoy’s podcast, The Popcast, on which he and his cohost Jamie Golden “educate listeners on the things that entertain, but do not matter.” Knox is snarky, intelligent, and culturally relevant and I knew that if this book was anything like his show, I was sure to love it. In a sense, The Wondering Years is very similar to The Popcast in that it is filled with uproariously funny stories (seriously, they are SO funny—especially the comical footnotes!) and more pop culture references than thirty-somethings at an n*Sync reunion concert. (<—I promise that Knox’s pop culture jokes are way funnier than mine.) However, The Wondering Years caught me off guard (in a good way) by going far beyond “things that entertain, but do not matter” to explore some of life’s deepest questions. Knox shares his story of growing up in a devout Christian household. As a resident of the South, Knox inherited a legacy of sports, barbecue, and fervent evangelism. He was a good kid with a questioning mind; with little exposure outside his Southern Christian bubble, movies and television became Knox’s window into new ideas and viewpoints. 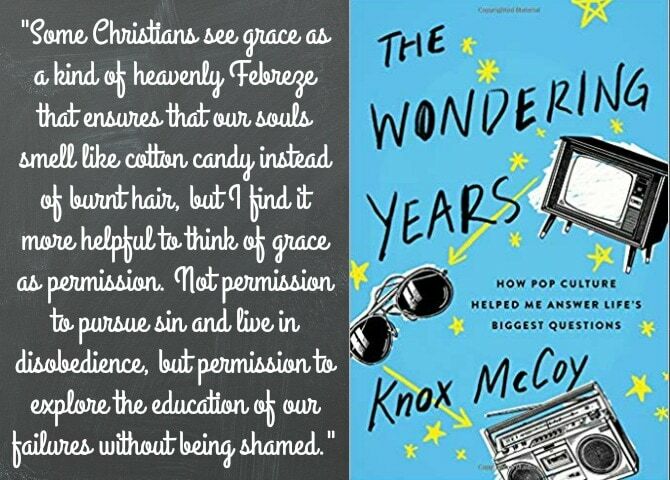 Knox became an avid student of the characters on the screen, and as he passed through the teen years and into adulthood, they helped to shape his perspective and create a foundation for his faith. I’ve never read a book quite like this one. It is endlessly entertaining, but not at all shallow. The writing is smart, articulate, insightful, and witty. Knox is unflinching as he asks hard questions and arrives at tough conclusions (and many non-conclusions) regarding his beliefs, yet through it all he keeps the jokes and clever turns of phrase coming. This is his story, but like any good memoir, it steps outside the life of the writer to lead readers in examining our own lives and beliefs. At times Knox seems overzealous in throwing himself and his fellow Christians under the bus, but he makes some valid and convicting observations about modern-day evangelicals; and even as he calls Christians to the mat for our behavior, he continues to hold Jesus and the truths of Scripture in the highest regard. I’ve seen many Christians attempt to balance cultural relevance and a humbly respectful attitude toward God, and few have been as successful as Knox is in this book. “Knowing” Knox added to my appreciation of The Wondering Years, as I enjoyed learning more of his backstory (which he rarely discusses on The Popcast) and could hear his tone through the stories and jokes. However, I believe that this would be appreciated by non-podcast listeners (and possibly even non-Christians) as well. And don’t worry if you’re not up to speed with pop culture; many of the references went over my head, yet they were still funny somehow. 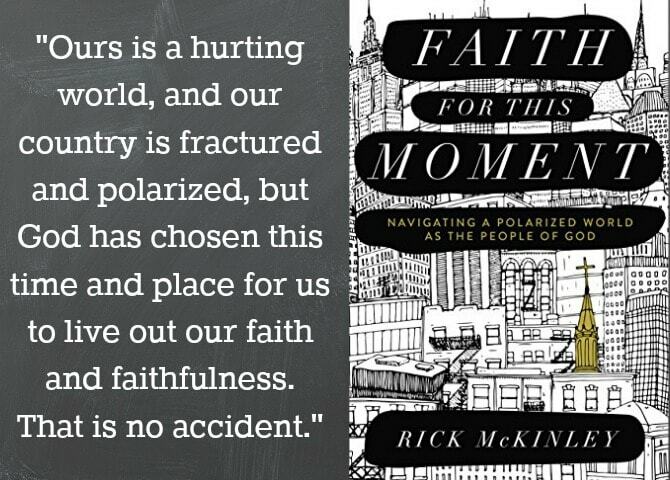 Faith for This Moment: Navigating a Polarized World As the People of God, by Rick McKinley: Mike Erre has been killing it with his guest interviews! I recently read books from podcast guests Austin Fischer and David Bennett, and both were fantastic. And after hearing this episode, I couldn’t wait to read Rick McKinley’s latest book as well. Faith for This Moment was written for Christians who have begun to feel like exiles in our own country. There is a growing discrepancy between our own values and what we see played out in culture, and there is division within the church regarding how to address these differences. Some Christians seek to return to a Christendom of an idealized past, while others wish to assimilate the culture’s values into the church. McKinley offers a third way: blessing the culture, while still living faithfully to God and Scripture. McKinley spends the first half of the book explaining the concept of exile and drawing parallels between American Christians today and Israelites who lived as exiles in the land of Babylon. He draws from their examples of living faithfully amid difficult circumstances, and shows how God’s people found ways to be faithful, prophetic, and imaginative as they discovered fresh ways to discover that Jesus remains Lord of all things. McKinley shows how we too can engage our culture around shared issues of concern (like caring for refugees and the environment), while also resisting unbiblical aspects of culture (such as consumerism and the glorification of busy). The second half of the book outlines five practices that should define the Christian life in light of this exile, including 1) hearing and obeying (our centering practice); 2) hospitality (welcoming strangers); 3) generosity (repenting consumerism); 4) Sabbath (embracing rest); and 5) vocation (viewing our work as a holy calling). This book is an excellent guide for living with meaning and purpose within a post-Christian society, and an invitation for Christians to stop putting our faith and trust in our culture or politics but to trust in God alone. I appreciated his suggestions for loving nonbelievers without endorsing their behavior, as well as the helpful and necessary distinctions he makes between contemporary Christian mores and what the Bible actually says. This book reminded me to prioritize living out God’s calling (especially loving others) over looking good as a Christian. Rick McKinley is a voice of reason and truth, and also one of love. He is the type of Christian I wish we all could be. 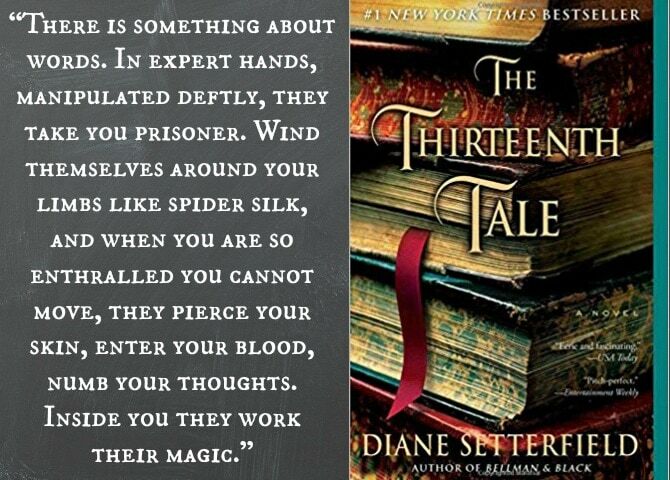 The Thirteenth Tale, by Diane Setterfield: Margaret Lea is a young biographer who obsessively reads about the lives of those long deceased in order to escape her own tragic history. When she receives word from Vida Winter, a reclusive author most famous for her collection of twelve enchanting stories, Margaret leaves her home above her father’s antiquarian bookstore to meet with the ailing Vida Winter and record the past she’s kept secret for far too long. During their writing sessions in the author’s enigmatic (and possibly haunted) home, Margaret is captivated by Vida’s alluring yet grotesque tale of feral twin sisters, raised in a household of mentally ill or negligent adults. Her story is one filled with ghosts and tragedy, suffocating love, and gross misunderstanding, and as the story draws to a close, both Vida and Margaret must come face-to-face with the ghosts that have haunted them for far too long. Where do I begin with my love for this book? It first captivated me with its eloquent tributes to literature and spot-on reflections on the life of a bibliophile. Throw in a mesmerizing mystery, haunting storytelling, an evocative cast of characters, and a gothic sensibility, and I was sold. In The Thirteenth Tale, Setterfield combines the style of Daphne du Maurier with Amor Towels’ knack for observation and insight, then adds enough plot twists and bookish delights to satisfy my every literary desire. I know it’s still early in the year, but this will be hard to beat as best book of 2019. I’m linking up with Modern Mrs. Darcy to share what we are reading lately. If you’re visiting from the link-up, I’m so glad that you’re here! 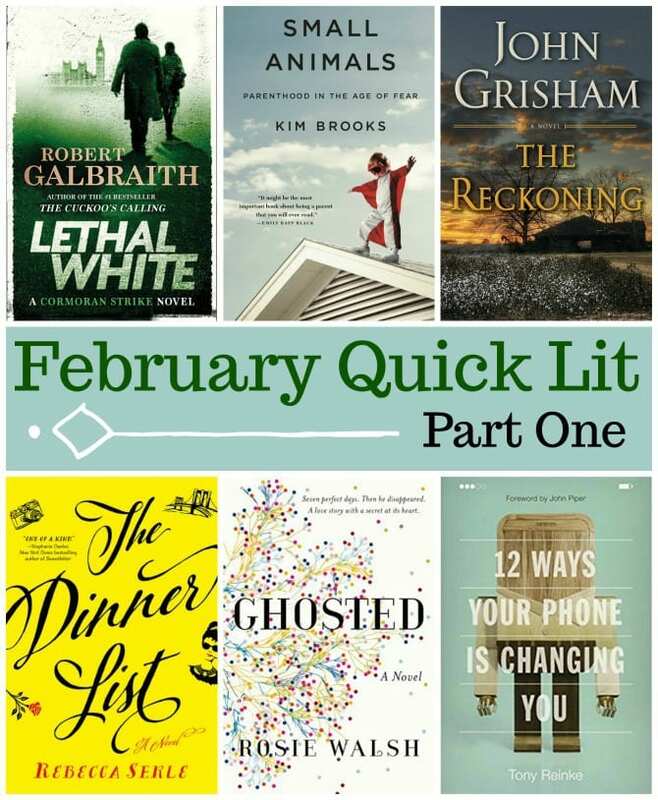 Be sure to check out this post to read Part One of this month’s book reviews.